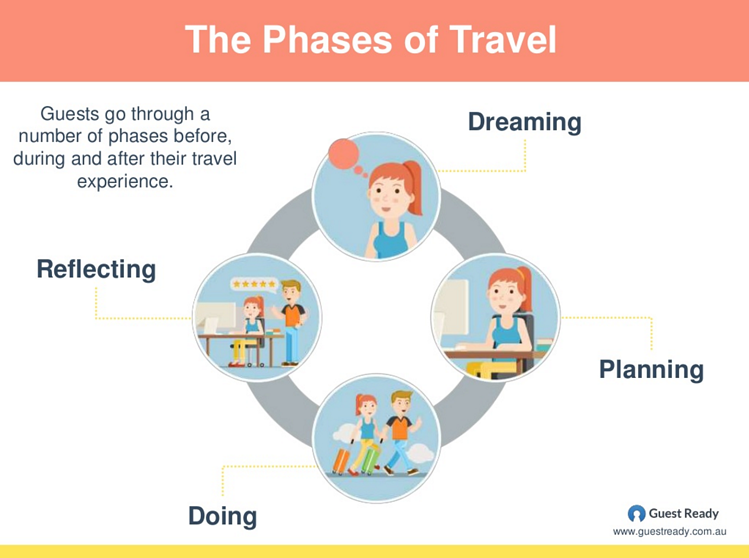 A few years back, Google introduced the “5 Stages of Travel,” on their excellent Think with Google blog. The original post is unfortunately MIA, but the idea remains as sound as ever, especially for marinas which cater to boater customers who are constantly traveling. Anyone who travels, first dreams about it – sometimes more than they might like to admit. The draw to leaving your house in your rear-view mirror and experience new places, people, and culture is strong. We call this the dreaming phase because it’s the time when ideas start to formulate in the mind of the traveler. Whether it’s dreaming about returning to a favorite destination, contemplating an awesome blog or pictures of a new destination online, or hearing about a friend or co-worker’s amazing trip, dreaming is the process of formulating your next trip in your mind before planning, booking and taking it. When prospective travelers dream, they tend to begin the research process. This research is largely conducted online: recent data suggests that 56% of travelers get their inspiration to travel from online sources. Another 56% of travelers report getting inspiration from friends and family through word of mouth, which is an equally important metric to consider – we’ll cover that in a later stage here. 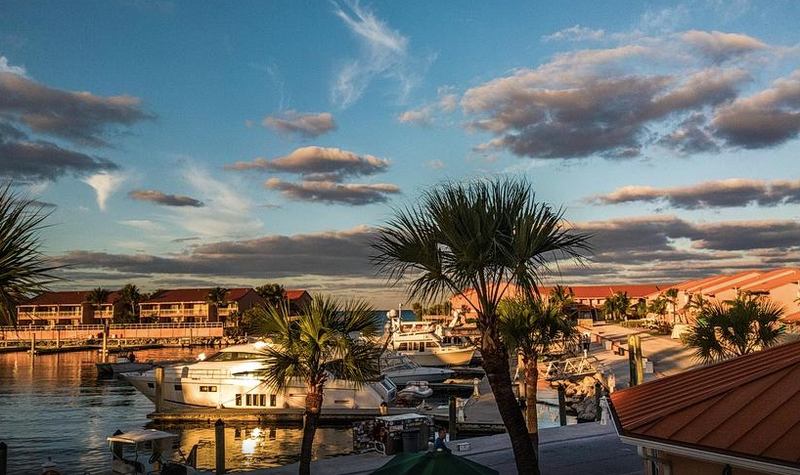 As a marina, your business is a destination that you want to make attractive for folks to visit. Much of this comes from solid website design and content marketing of your marina. Pictures, specifically professional looking photography, will go a long way to enhance the design of your site. If you're not convinced, look to Airbnb, which reported 2-3X growth in New York City bookings just one month after employing professional photography on their website. How do you up your photo game? Start by taking a page out of the Airbnb playbook: source a local freelance photographer to take pictures for you to utilize on your website. If you’d like help with your website design or development, get in touch with the team at Dockwa, we’ll be happy to help! Another key factor here is to make sure that your website is mobile optimized. Not only will you cause a bad user experience if your site doesn’t come through correctly on mobile, but Google will penalize you in their search results if your site isn’t mobile friendly. Once the idea of a trip formulates in the mind of a traveler, they start to put their plan in place to make the trip a reality. For a boater, this means they'll pick a destination, and figure out how they’re going to get to that destination. For your marina, this means that either you are the destination, or you’re a stop along the way. In either case, you want the transient booking. Getting your marina and brand to show up in as many sites on the internet as possible is going to be critically important. 74% of leisure travelers reported using the internet for trip planning – those same travelers search more than 20 different websites before making a booking. Make sure that they find you over and over again. Search Engine Optimization, or SEO, is a technique you can employ to make sure that your website shows up in search results when a potential customer is searching for something relevant to your marina. There are some easy wins that you can employ to make sure that your website is optimized – we’d be happy to walk you through them, so get in touch! Diversity with your brand means that you want to try to get listed in as many relevant sites as possible. Cruising guides like Active Captain are easy wins for marinas. Other travel sites such as Trip Advisor and Yelp are key to make sure you’re listed in – and look good in – as well. Reviews are critically important, so make sure that you’re monitoring reviews and garnering positive feedback from your customers. We'll cover more on this later. After research is complete, a boater is ready to book. By now they have a good idea as to where they are going, so your job is to make it as easy as possible to book your marina. The more you can make booking even more attractive to the boater, the further you’re going to get. For instance, a holiday promotion or a buzzworthy event will result in more bookings for that weekend. Make sure that your offers are well-promoted on your site and on social media, and that you have the proper booking conversion paths setup across many different online channels. Don’t get in your customers' way. Don’t make it any harder than it needs to be to book your marina. 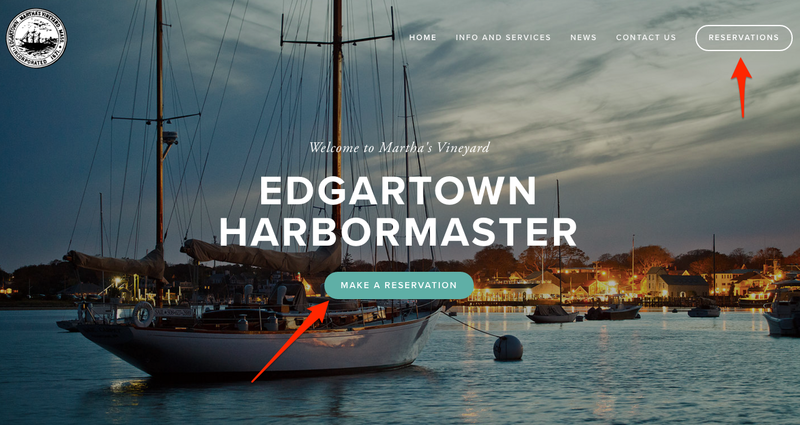 Every marina that accepts transient reservations should have a clear call to action, or CTA, that lets a website visitor either click on a button which takes them to a booking form, or have a booking form embedded right on your website. Make this button front and center: don’t make your potential customer search for the button or form – don’t confuse people. 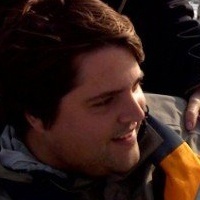 Either way, a marina booking engine like Dockwa is highly recommended. Our embedded button or booking form can enable you to take credit card reservations right on your website. Want help implementing? Get in touch – we love to help our marina partners with this! Once the boater is booked and ready to head out on their trip, it’s your job to make sure they have the best experience possible. This phase is geared more for the services side of your marina, in terms of offering a superior customer experience, which includes cleanliness, service and fun! Certain tactics can go a long way, such as offering a visiting boater a care package welcoming them to your marina and area. Give them a piece of swag like a sticker or t-shirt, or some local products or map of the area: easy touristy materials will make people want to explore the region and keep them coming back. Online methods for the experience phase tend to have to do with communicating with your customer, welcoming them to your marina, and letting them know what to expect. Send them a welcome email with information on your amenities: Have a restaurant? Give your customer a free drink token and tell them about specials. Ask them to be friends with you on Facebook so that you can post to their time line welcoming them. Put together a small welcome package that makes them feel at home. This phase is often overlooked, but it may deserve the most attention. There’s nothing like personal touch that will create the loyal, lifetime customer, so get out there and make some friends! The traveler’s trip is over, and what a ride! Hopefully thanks to great planning on their part and a great experience that you’ve provided, the customer’s trip has been one to remember. Now is the time that the traveler is going to share their experience with the world: tell their friends and family all about it, show pictures to people, and perhaps most importantly, share their experiences online via review sites and on social media. 53% of travelers reported that they share their pictures online after they return from a trip, and 49% of people enjoy reading about other’s experiences — so you can start to see why this phase is critically important. If you’re proud of your marina’s experience, you should want your customers to tell the world. This is your opportunity to communicate to your customer and appeal directly to them to share their experience by leaving a review of your marina on popular review sites like Active Captain, Yelp and Trip Advisor. 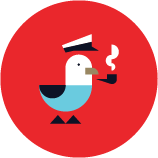 Send your customers a follow up email asking them to review your marina. In addition, make sure that your customer data is organized in a centralized way so that you can market to your customers for future trips. Follow them on social media and stay engaged with their conversations. All of this will create happy, loyal customers that keep coming back. All of the phases are critically important to get right. Please talk to us if you’d like some help with any of these steps. 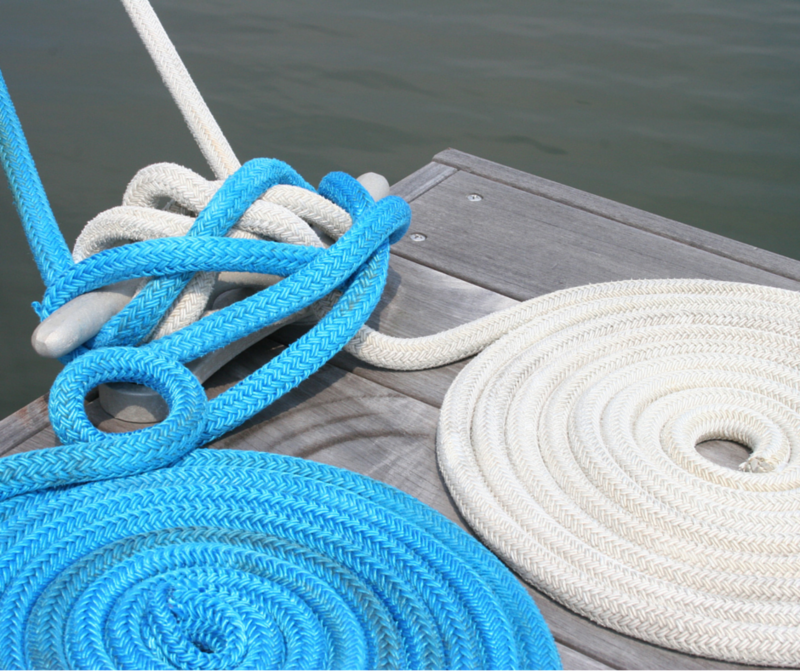 Introduction to Marina Asset Utilization: How Productive Are Your Docks?